Hi all! Today's Intro is something I'm super excited about! For me, the holidays is more than just the cards when it comes to crafting. I equally love giving out cute tags with my gifts! 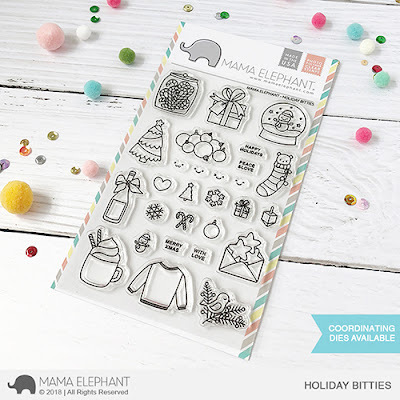 So, we designed these cute little bittie sized icon-ish images that exudes the magic of the holidays! Just one project from me today and it combines the Holiday Bitties stamp and dies set with the new Scallop Tags Trio set that were designed to coordinate with each other. I created a straight forward project using the larger images. If you look closely, some of the images can even be customized with the small images and cute faces included! I've got a project upcoming using the Ugly Christmas sweater soon! I really like my own project for today's post haha. I can't always say that! 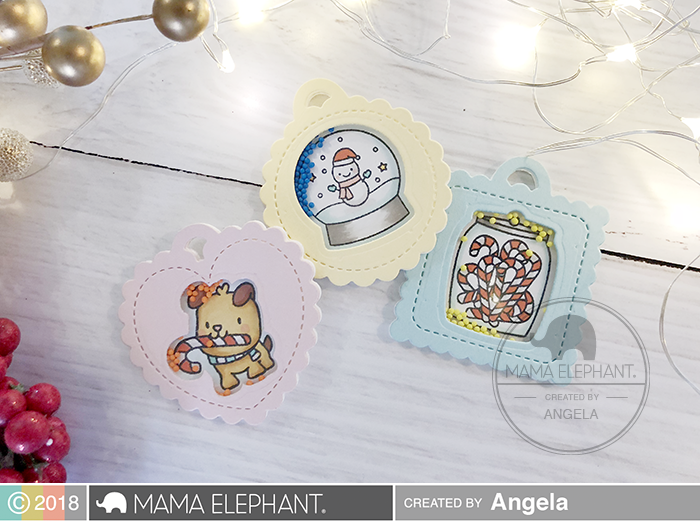 And now I present Angela's take with these little scallop tags! 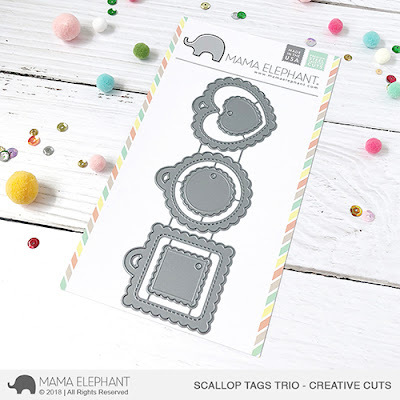 It is all about the layering when it comes to making these adorable shaker tags! First layer, we have the window cut. Second layer, we have the cute image stamped and colored. Now it flip over and we have the third layer with a mini message! How fun is that?! What about you guys, do you love making tags as much as cards? Let me know! Thanks for coming by today, see you again tomorrow! Oh my goodness, these are too sweet. As tags they will be adorable, but I might need to get a little tabletop tree and use all my favorite ME stamps & use them as ornaments on it also! These new products are SO much fun! I love all the tiny images you can use on tags! I start making gift tags in July for giving trees and gift toppers. I love making shaped tags especially like gingerbread boys and girls and candy canes and mittens. I love your sweet tiny tags for smaller packages and adore these sweet new images. I have been making lots of tiny mitten shakers and tree shakers this year. Looking forward to getting your new products to play with this year! Thanks for all your wonderful creativity and products! These tags are simply adorable! 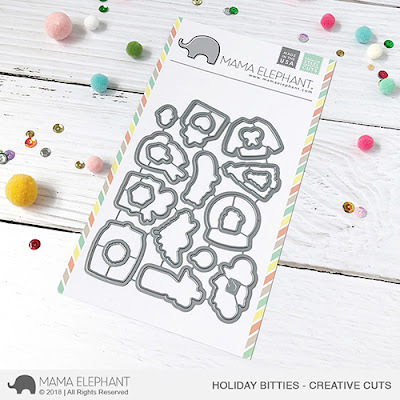 Mama E. always does such a great job with their stamp images, such cute little faces! OH MY GOSH, so cute! And they fit the die cut background so perfectly! LOVE LOVE LOVE the Scalloped Tags and Holiday Bitties!!!! Adorable!!!! Yay I've been looking for scalloped tags!! Super cute! I love your Holiday Bitties and I love tags. What a great combo. Can't wait. These bitties are so so cute. Excellent combination of super cute products.